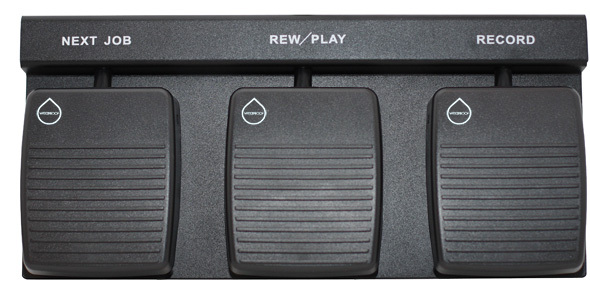 This foot control is designed for use with the Olympus DS7000/DS-5000/DS4000 digital portables. It allows for hands-free dictation and connects to the back of the portable's docking station. Durable and comfortable, it will provide years of use. The waterproof model (shown below) has all internal wires protected in thick plastic tubing and is great for pathology and similar environments.